cruise to the hottest destinations in Asia with one of the world’s finest musical sommeliers on the grandiose Costa Victoria that would be propped out with a magical aquatic theme with a steampunk twist, where legends of the sea come to life. Today, it launches its website www.shipsomnia.com with information on the festival vacation cruise, in seven languages – English, Mandarin, Japanese, Korean, Thai, Bahasa Indonesia and Bahasa Melayu – to cater to fun-seekers in Asia. 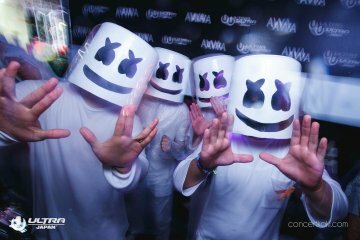 The debut of the annual Shipsomnia, organised by Singapore-based lifestyle and entertainment outfit Mad Fresh Events comprising professionals in the travel and entertainment industry from Asia-Pacific, Europe and the United States, was conceptualised more than a year ago. The 5 day – 4 night cruise will set off from Singapore on January 2, 2016, to Phuket and Langkawi. Mad Fresh CEO and Shipsomnia’s co-founder Alessandra Maderni says: “The idea behind Shipsomnia was to create an original music festival cruise concept like no other and is unique to Asia. Many festival cruises follow the same format, and it’s easy to fall into the trap of yet another pirates or sailor theme. Shipsomnia is organised at a cost of about US$2.5-million, and it is expecting some 2,400 people from around the Asia-Pacific region and beyond. 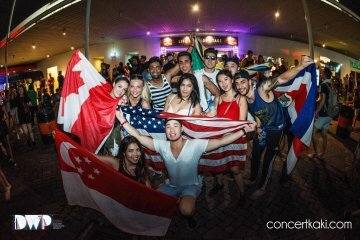 Jay Slangen, Mad Fresh Events’ creative director and Shipsomnia’s co-founder, adds: “We expect to see a core audience from Singapore, especially professionals aged between 25 and 40, with a penchant for music, partying, travel and are looking for something more sophisticated. “We also want to bring like-minded people together, or whom we call Shipsomniacs, in a fun family-like community with music and friendship to a positive, magical experience. In May, fun-seekers can expect a multi-club tour of Shipsomnia in Asia, as it is collaborating with one of the best clubs, from Singapore/Kuala Lumpur, Bangkok, Hong Kong to Jakarta, Bali and Shanghai. Each club will also host two parties on Shipsomnia and they would be represented by their resident DJs, who would present their unique brand/sound and club culture, alongside global acts that would be announced at a later date. The Shipsomnia team spent over a year in planning, research and development from its concept, storyline, branding and bringing Shipsomnia on tour. While plans are in the pipeline to expand to other regions such as Hong Kong, Shanghai, Dubai, Bali and Sydney, Singapore will always have the fresh new production and storyline every year, adds Jay. 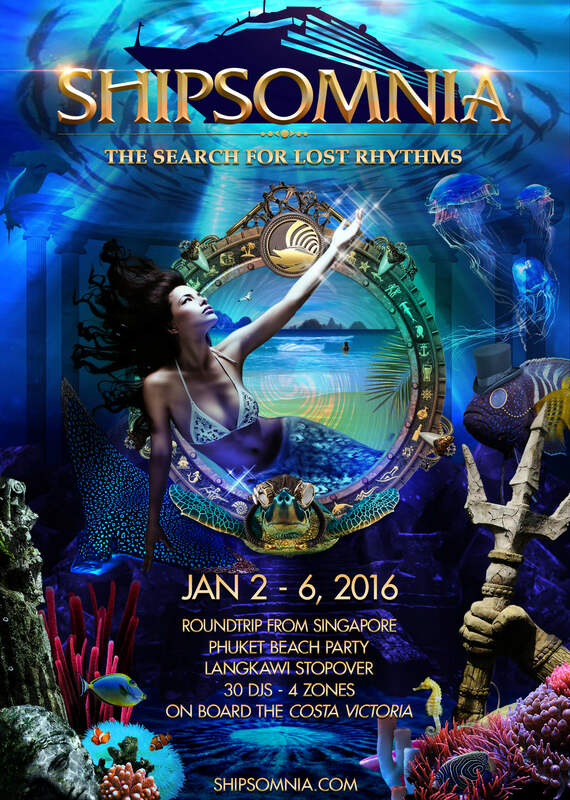 “The 2016 theme is The Search of Lost Rhythms, and the following year could be Rise of the Kraken, for example. Guests can dress up to the fun aquatic theme,” he says. Shipsomnia will also see a world-class stage production of its 2016 theme – The Search For Lost Rhythms – collaborating with some of the best artists and stage production teams from Belgium and South Africa. More details will be announced later. Early reservations for Shipsomnia will start from May 23 to June 14, 2015 on www.shipsomnia.com. Prices [excludes taxes and fees] starts from US$699 to US$1,199, per person depending on the choice of cabin. This is a savings of US$400 per cabin for a quad or 4-person sharing cabin. Easy on the pocket, guests are only required to put a deposit of US$250 at the time of booking and they have the option to split the balance into three easy payments. For example, the price for one person for the lowest priced room costs US$699 [Usual: US$799]. After paying the deposit of US$250, the remaining sum can be paid in three instalments of US$150 each. Visa, MasterCard and Debit cards are accepted. Those staying in a Triple and Quadruple occupancy cabin get US$300 and US$600 [per cabin] free in onboard spending credit, respectively. After early bird sales end, prices will return to its original. Shipsomnia’s VIP packages will also be available. on Costa Victoria; transfer to the beach party in Phuket; and access to all concerts/events on board. There will be a full-day in Phuket with a private beach party, lots of activities and special surprises planned. The stopover in Langkawi is half a day, where you can either stay on the boat and enjoy the beautiful surroundings of the port, or sign up for tours of the island. as a dinner with an international DJ; a luxurious spa session; a behind-the-scenes private tour of the ship and more. Register on our website to enter the sweepskates. If you register on Facebook, you’ll get free bonus entries for every person that enters the contest through your shared link.